Electricity is an amazing thing. One does not truly appreciate it until they have had to live without it. Whether a person lives in a state such as Florida where the heat drives homeowners to crank of the air conditioner or in up state New York where living without heat is absurd, circulation and ventilation are two important aspects of a home. Without circulation and ventilation, a home can become stuffy, dangerous and uncomfortable to live in. Every home has some form of a ventilation system; the important thing is to make sure that the home has an efficient ventilation system. An ineffective system can run up energy cost as well as create a series of health and safety hazards. Heat and moisture gets trapped in a homes duct rafters; if the moisture and heat are not properly dispelled, they can create mold, mildew and rust build up. Choosing a ventilation system is important and once one has been chosen and installed the system needs to be covered in order to be protected from outside elements such as debris and small little rodents. Throughout a home, there are several vents displayed either on the ceiling, floor or the wall. The vents seen sporadically around the home serve a purpose; they are there to control the air flow and circulation of that particular room. Without the air vent cover, huge gaping holes would be seen throughout your home. Unless you are fond of having gaping holes randomly throughout your home, it is important to select the right wall vent cover for you home. Proper measurements need to be taken as well as knowledge about your ventilation system can help determine what type of wall vent cover you might need. 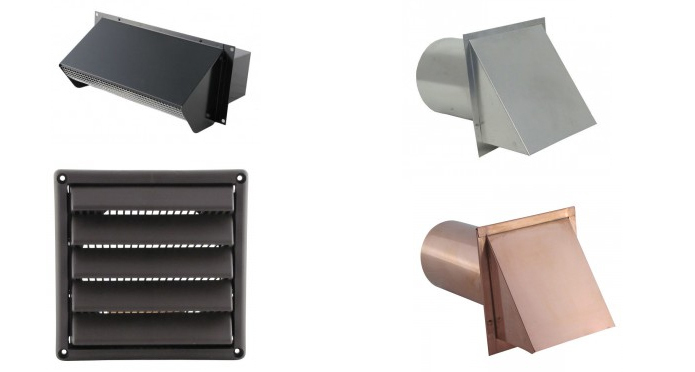 Wall vents can come in different shapes and sizes so determine how many wall vent covers you will need and what shape and size fits your particular ventilation system. When purchasing a wall vent cover for your home, consider the home décor and select a wall vent cover that will add uniqueness and appeal. Vent covers are made of either wood or metal and can come in a variety of finishes to add a distinct custom look to any home. Take time to consider the theme and décor of your home before purchasing a wall vent cover; keep in mind that they’re meant to be permanent fixtures.